Is it Awfully Middle-Class to Have an Art Theme? You are all nodding. This is a bad sign. It was not planned, but we seem to have a Scottish art theme in our living room (and now I angst about using living room or lounge, or sitting room. I should not have read the book about class distinctions in UK*). The Scottish art theme is all down to our recent trip. Finding Scotland both picturesque and, in comparison to Switzerland, inexpensive for buying art, we brought home three different pieces. And that sounds even more middle-class poncy than ever. Pieces. Urgh. Anyway, here is what we bought. The first piece of artwork (above) that we purchased was a coincidence. 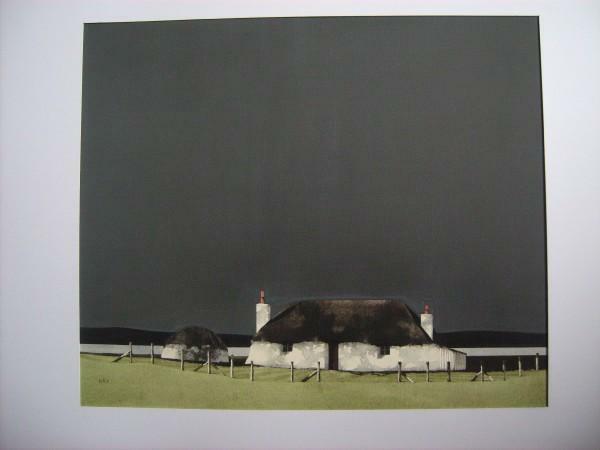 When we visited the Westend Gallery on Perth Road, we both fell in love with the watercolours of Ron Lawson. Not normally a fan of watercolours which I find can be a bit insipid, I loved the blocks of colour that Ron uses, the dark grey skies, the white cottages. Not twee, not kitsch. 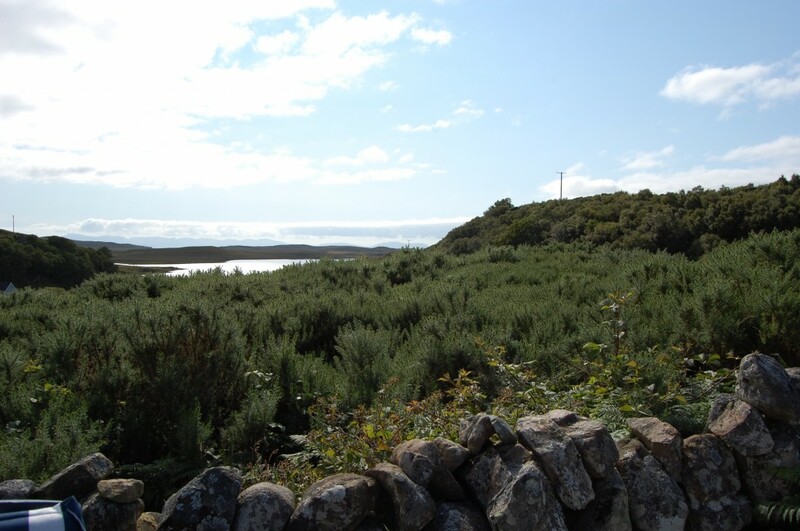 It is interesting to see the development of the cottage idea on Ron’s myspace page – you can see that he started with a typical watercolour but moved on to the more striking painting techniques. 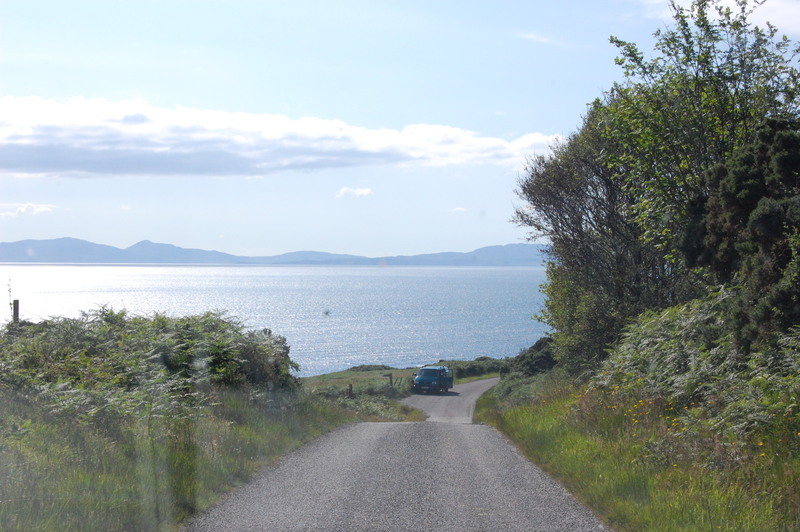 After we visited the north west of Scotland, I liked the painting even more as it now reminds me of the area around Badachro and Gairloch (which I will blog about in my Secrets of Scotland theme). The next one is from the fabulously talented, and utterly delightful The Windmill Stump – you can find her blog here. 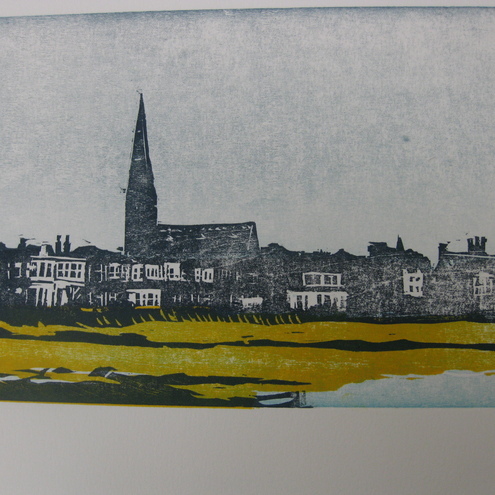 It is a woodcut print of Portobello, Edinburgh. My husband and I walked along the promenade of Portobello this summer then sat on a bench opposite the Police Station, eating fish and chips and fantasising about opening a cafe in the vacant shop on the corner. It was to be called “Daphne’s” and would feature home-baking, quirky decoration and friendly staff. 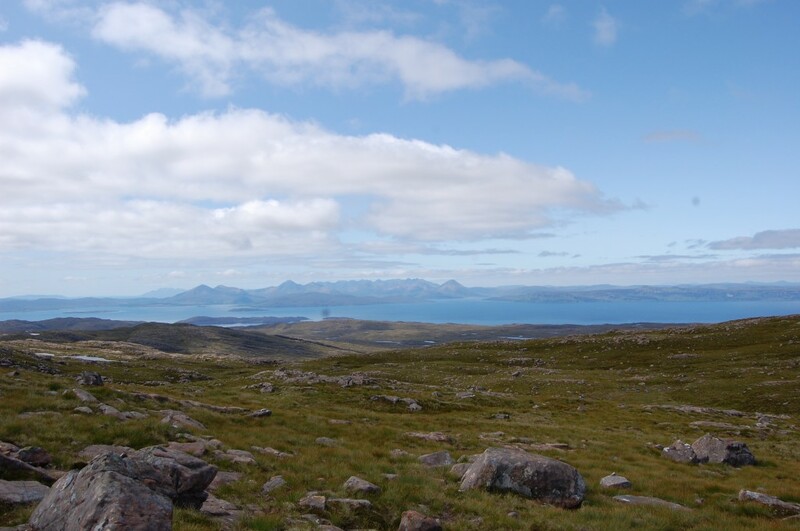 The final new frame on our walls contains a photo taken near Applecross, which reminded us of the day we spent there. 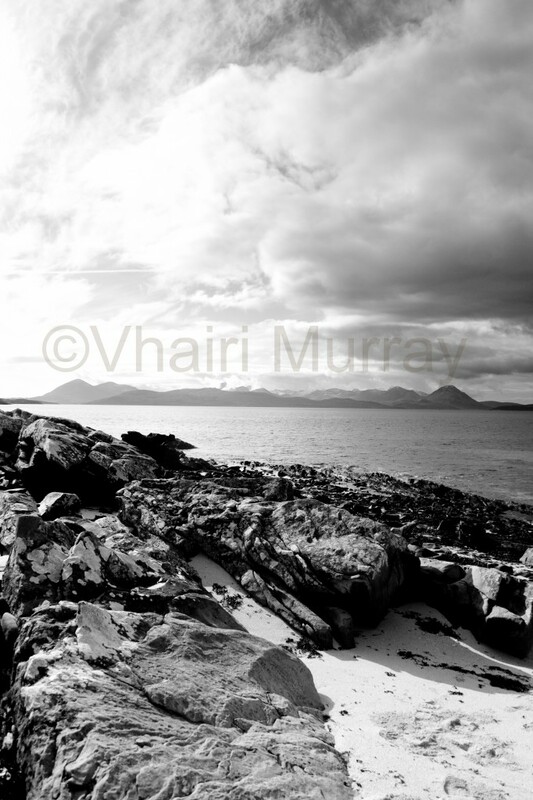 It is by a local photographer Vhairi Murray. So there you have it. Three very different pieces of art work, all in the theme “Scotland”. And all that remind us of a special holiday in the homeland. *The very excellent “Watching The English” in case you are interested.